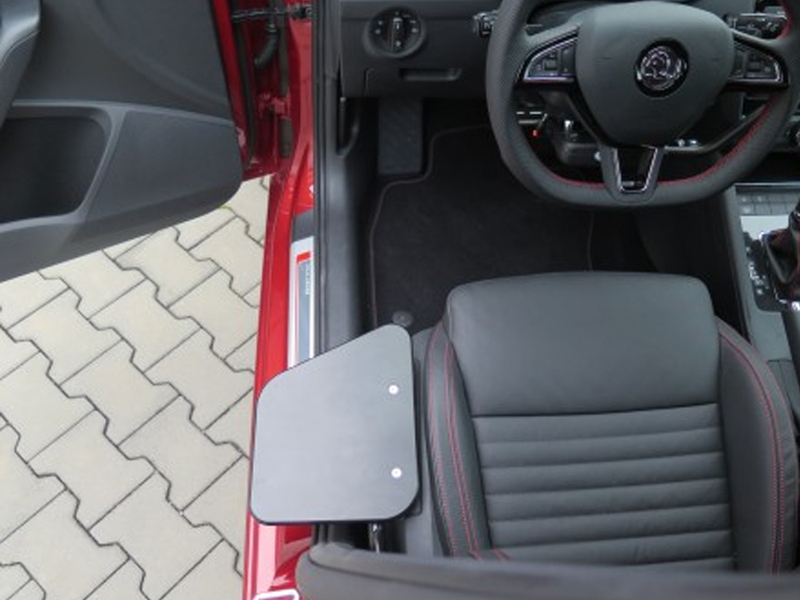 New & Improved Hurt Manual Transfer Plate – now available in quick release removable and swing up options! 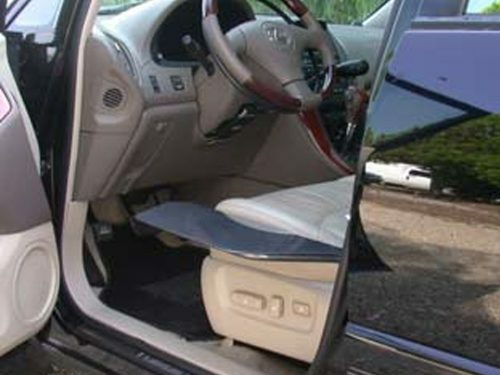 Also featuring a new larger plate, making transfer smoother and easier! 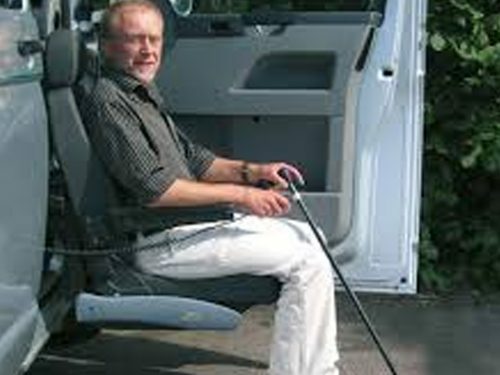 The Hurt Manual Swing Up Transfer Plate is a simple aid which is designed to make boarding a vehicle from a wheelchair/scooter much more comfortable. 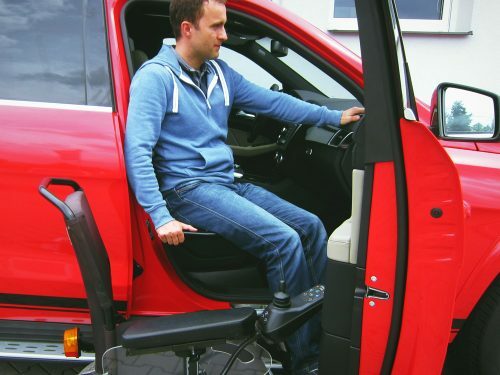 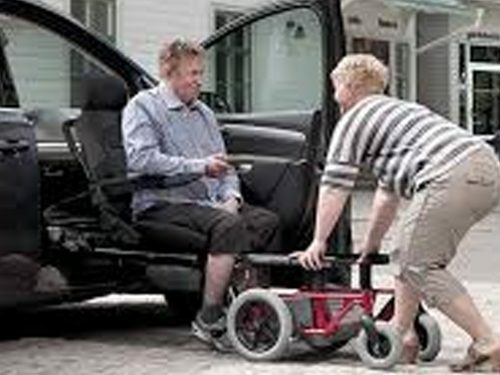 The plate can be fitted to either the driver or passenger seat and fills the gap between the seat and the door, allowing for easy and seamless transfer. 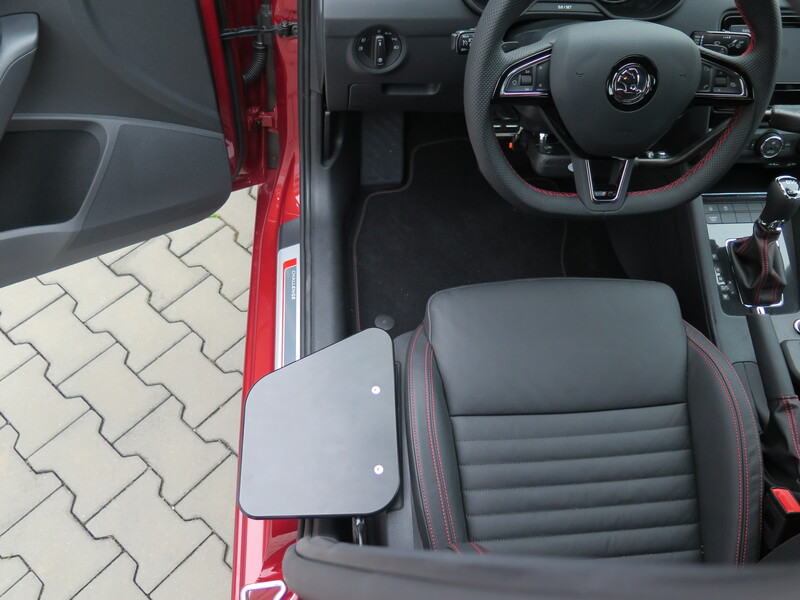 Once in the vehicle, the plate then swings up, taking up minimal space in the vehicle.